A graduate student in agricultural and biosystems engineering is developing a new airflow measurement device. Katlyn DeVoe grew up on a dairy farm in in Juda, a small town in southern Wisconsin, where her and her family milked 100 head of cattle. When she was ready to go to college, she wanted to continue to learn more about the dairy industry at a strong university that still offered a small-town feeling. Once she visited Iowa State, she fell in love with the campus, the staff, and the agricultural engineering department, and she knew Ames would be her home away from home. Throughout her years as an undergraduate student, DeVoe excelled at her studies and proved to be an excellent student. When her junior year rolled around she was asked by Steven Hoff, professor in agricultural and biosystems engineering, to help him as an undergraduate research assistant assiting in t barn leakage studies. DeVoe wasn’t thinking about graduate school at the time, but Hoff motivated her to pursue the concurrent graduate program that allows students to take one year of graduate school alongside their senior-year studies. “I was not interested in anything more than four years of school, but the concurrent program allows me to only have to take one more year of schooling, so I figured I would go for it,” explains DeVoe. Currently, DeVoe is working to develop a light-weight, portable device to analyze the airflow of fans in barns that contain cattle, hogs or poultry. The mapping tool is called SWEAP (Segmented Wand for Evaluating Airflow Performance) and is meant to be a supplemental tool to FANS, the traditional and most accurate airflow mapping system in the agricultural fans research community. DeVoe says FANS can be cumbersome to use, making it difficult to measure multiple fans across multiple rooms and barns. That’s where SWEAP can help. DeVoe will present a presentation over her paper on the research during the Annual International Meeting (AIM) for ASABE this July. She is also a teaching assistant for ABE 216, Fundamentals of Agricultural and Biosystems Engineering, which is taught by Hoff. Next semester, DeVoe plans to teach some lectures for this course. 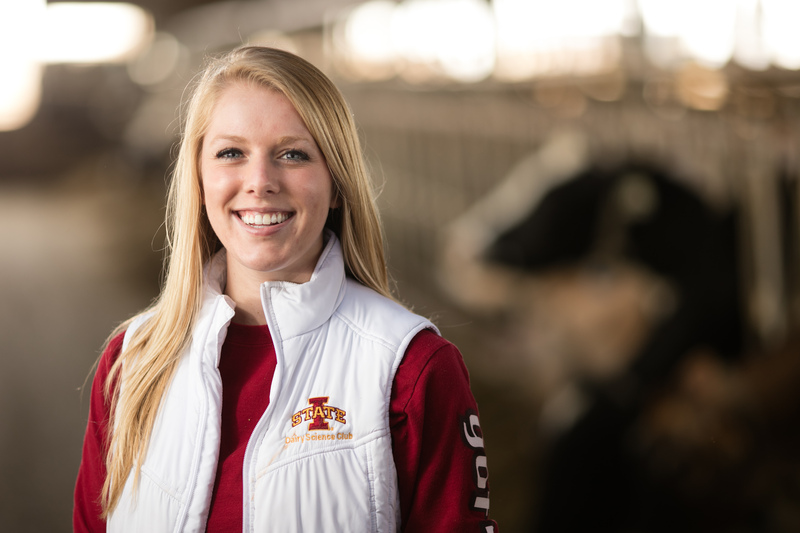 Once she graduates, DeVoe plans to pursue a position in the dairy industry with the possibility of returning to receive her Ph.D.